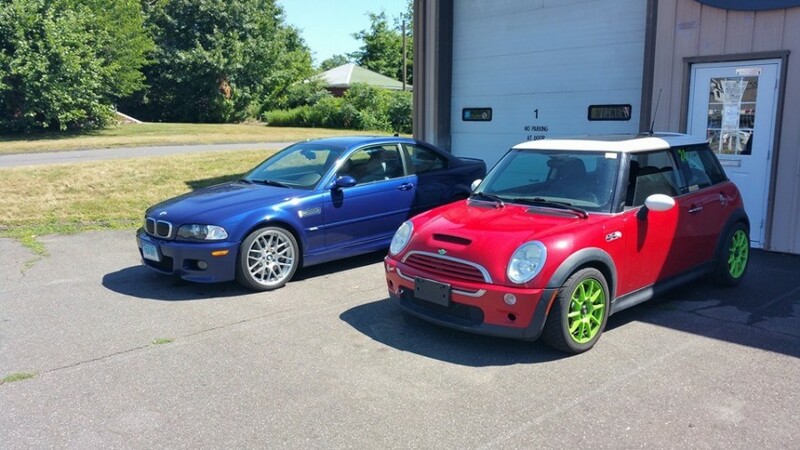 Connecticut's dealership alternative for BMW and Mini service, maintenance, repair and restoration. As an independent workshop, we pride ourselves on giving customers high quality service and value for money. I brought Mark at Northeast Motor Werks a BMW for a pre-purchase inspection. Not having any mechanical skills myself especially around BMWs I thought it be best. He was in a word, exemplary. In a world where not everyone is above board, he was professional, did his research on the car and was honest. He was methodical and thorough in his approach and was able to explain his findings clearly and patiently with this admitted novice. All in all I didn't get the car but I found a shop! Mark is a top notch mechanic, who specializes in BMWs and MINIs. He is honest, fair, and won't do any work that doesn't need to be done. 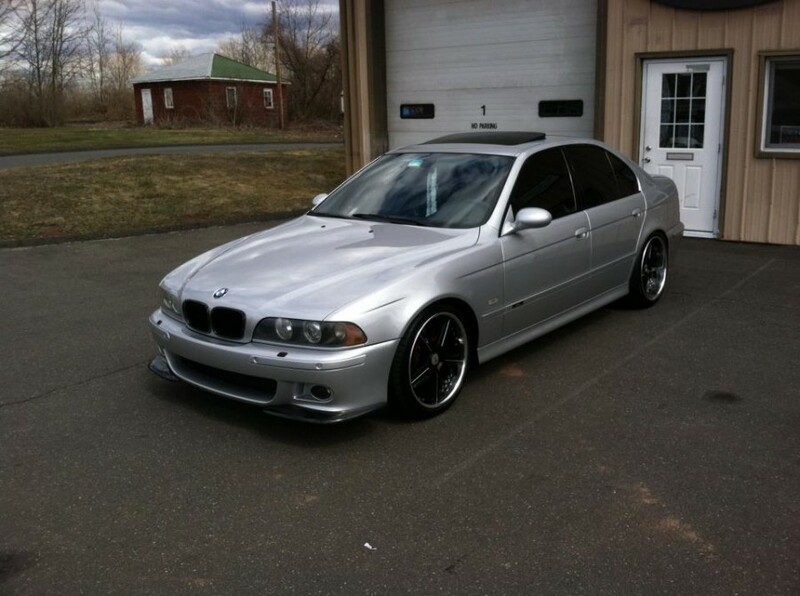 I'm very happy I brought my 04' 325 to him at Northeast Motor Werks in Middletown, CT and look forward to continuing my business to him in the future. Mark at Northeast Motor Werks is awesome, he returned my call immediately, researched the parts needed for repairs (full replacement of the four-piece engine partition that had deteriorated significantly), had the parts on hand and did the job quickly taking care of my beloved X5. Took him less than two hours to do a job that Mt. Kisco BMW has said was "extremely labor intensive" when they quoted me $1,400 for the same job Northeast did at less than half that amount. Very happy and highly recommend Mark and his garage for anyone who loves their BMW or Mini and wants to go to an expert who won't give you a dealer's service charge! Second BMW owned, the 1976 2002 never got out of the garage. This BMW purchased from a friend. Needed some repairs. Found Mark and Northeast Motor Werks through on-line sites. Mark is pleasant to work with, makes sure you know what the repair will entail and the cost. Mark also only repaired what needed repairing. Mark has a good reputation and intend to do further business with him. Great first experience with Mark. He will tell you what you need for your BMW and not what you don't. I wouldn't hesitate to recommend this shop to any BMW owner. Mark, at Northeast Motor Werks, is not only a great technician but a great person to work with. He has helped me out of more than one sticky situation that I have gotten myself into and my car is always returned in a much better condition that I leave it. Mark is an enthusiast and loves his cars. He treats them with the same TLC you do. He will never let you walk away without feeling like you have gotten fairly priced service. My experience with Northeast Motor Werks has been very positive. 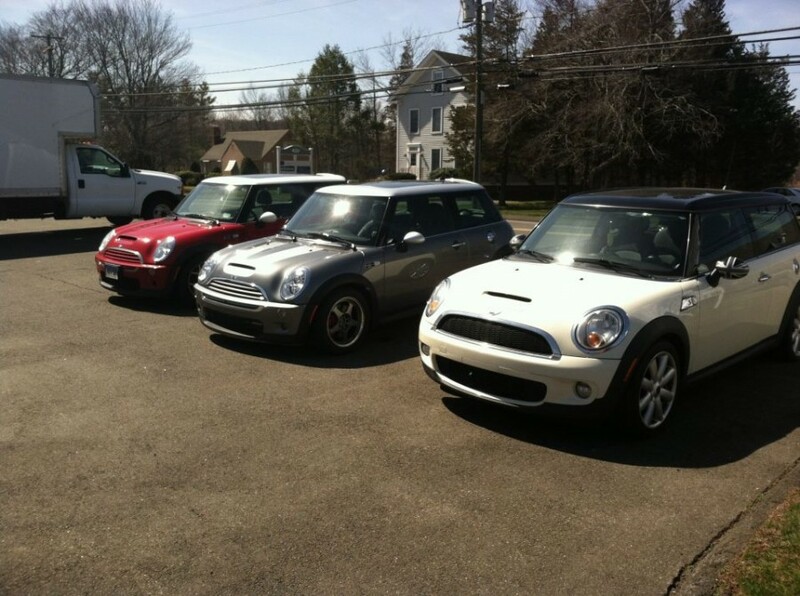 It was a pleasure doing business with Mark, especially after enduring numerous battles with New Country Mini in Hartford. Mark is factory-trained and certified in BMW and Mini, a highly competent technician, and a great guy to deal with. His passion for cars is evident by the way he maintains his shop. I've never before seen such a clean auto repair/restoration shop. He treats your car with kid gloves. I scheduled an appointment for service that was convenient for me. Mark took my car on time and did the work himself while I walked across the street for coffee. Within 30 minutes my car was returned in mint condition, and the service was complete. His fees are fair -- what more could you ask for? Northeast Motor Werks' staff consistently exhibit competence, experience, fair pricing, clear communication, and responsibility. I have always been pleased with my experiences. Mark is warm, confident, doesn't take himself overly seriously (a good thing! ), personable, and pleasant. I loathe to have my e39 serviced anywhere else. Received fast, convenient service from Mark at Northeast Motor Werks. He called to confirm exact pricing before completing any work...rather than telling me one thing and surprising me with the real bill later. He even did a once over and found errors that were supposedly corrected under a warranty from another BMW dealership in CT, and recommended I go back and have them fix it correctly. Very trustworthy! Left the local dealer in Hartford after the extended warantee expired. Also left the expense, pretense, and the less than truthful results of their previous work. Mark, at Northeast Motor Werks, is thorough, honest, and very convenient. Work done at the quoted price, and on time, twice now. My 325xi has a new and competent technician, and I have a new friend and associate. Best of luck Mark! Northeast Motor Werks is warm, individualized, personal and thorough - nothing like the big stuffy assembly line shops that I have visited in the past.